Kath Joblin, Principal St Thomas More Catholic School, says Mike Warnes has made a huge impact in his role as the caretaker. He might be there just five hours each week but the huge difference he’s making to the school’s appearance is a hot topic of conversation for parents and teachers. Kath Joblin, Principal at St Thomas More Catholic School, says having a caretaker on a contract arrangement has worked out better than she could have imagined. From the moment Mike Warnes started at the Mount Maunganui school the change was immediate and dramatic, says Kath. “The outside never used to reflect the inside of our school. We are a great school but you didn’t know it from the outside. But now people say how good it is looking and it’s attracting a lot of interest. Prior to Crest PropertyCare providing a part-time caretaker, the school had become reliant on a lot a goodwill for maintenance tasks and looking after the large grounds. Kath admits it had become hard keeping on top of everything. Staff and parents did their best tackling some of the work. But when it got too much, a list of jobs would be compiled and the local Hire a Hubby service would be called in. She says the school had considered directly employing a caretaker – but shelved the idea over cost issues and concerns over compliance regulations around health and safety. Going for a contracted caretaking service proved to be the answer to the school’s dilemma. All Crest PropertyCare personnel have been fully trained to meet current health and safety requirements. “Knowing that CrestClean covers all that side of things means I don’t have to worry about all the legal requirements that go along with the job,” says Kath. And having a maintenance man who is well organised has taken a big weight off her mind, she says. “The thing I was worried about with a caretaker was that I would have to give lots of direction but that’s not the case with Mike. Mike’s handyman and building skills have come in handy – one occasion saving the school the expense of calling out a plumber to fix a serious water leak over a weekend. “That was a real saving grace having Mike around and he knew what to do as he’s a builder,” she says. Job satisfaction factors highly for 49-year-old Mike, who says he particularly enjoyed tackling the school grounds on his first day. 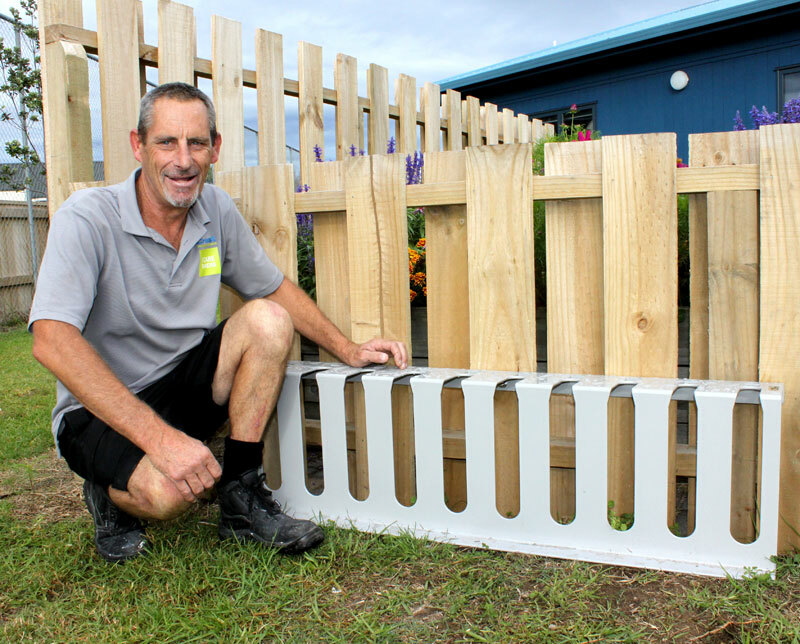 “The school needed a bit of tender loving care and I like a challenge. Within two hours of starting here the difference was really noticeable. There was moss and mould to deal with and the boundary was completely overgrown. 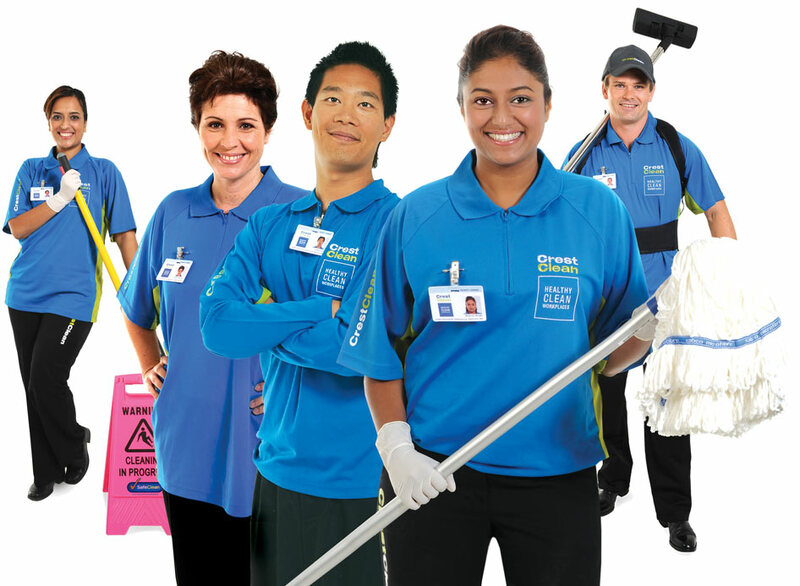 Jan Licthwark, CrestClean’s Tauranga Regional Manager, says caretaking is proving popular. “Caretaking adds another string to our bow in terms of the service we can offer our customers. 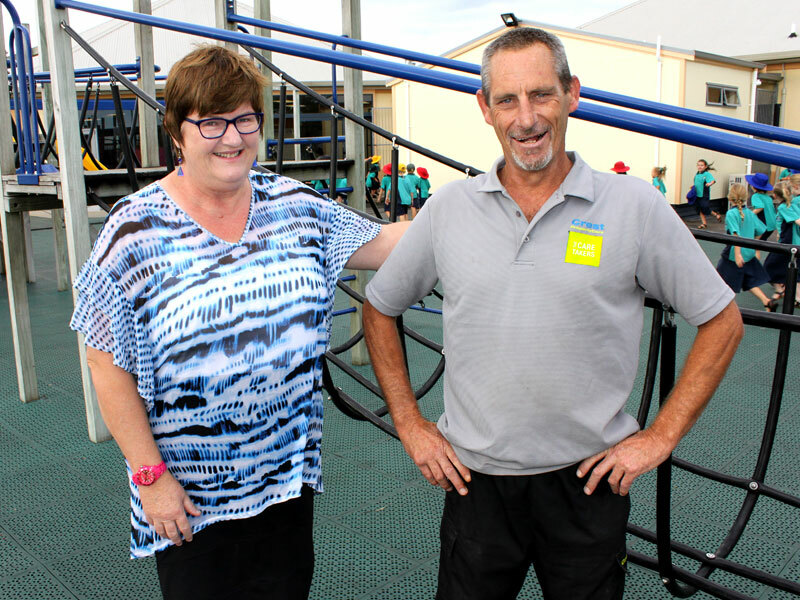 Mike installed a scooter rack at St Thomas More Catholic School, just one of the things he’s taken in his stride as caretaker.